Google has created App Kickstart Guides for Google Play for Education apps to help you build your "Android app-titude" for some specific apps in Google Play for Education. The guides include videos, best practices, how-to's and more. They help you learn about the app's functionality as well as how to use it in the classroom and can be used by individual teachers, edtech specialists or in a PD session. They are easy to use and very helpful. 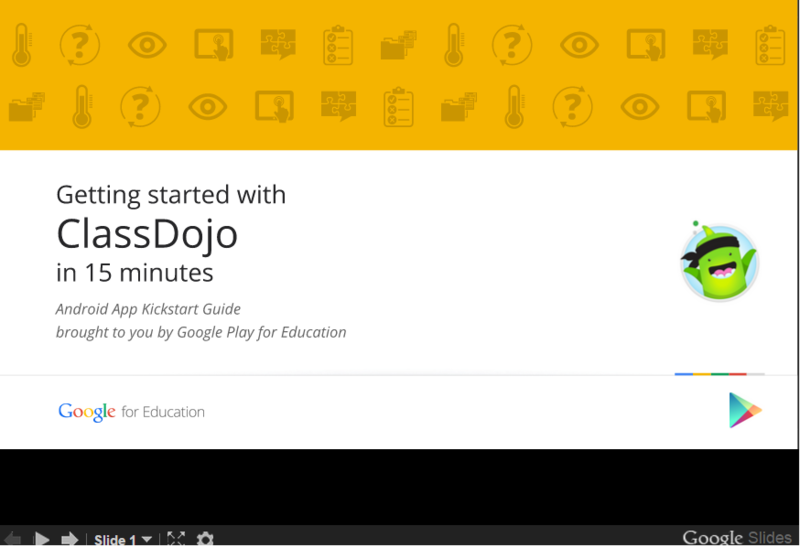 The guides are built in Google Slides with embedded videos and are very well done. Currently, they have App Kickstart Guides for the following apps, with more to come. There is also a section for feedback (request more guides for more apps) and links to other resources. Take a look and learn how to use some new apps in your classroom.